Founded in 1991, Our Sunny World is one of the first organizations in Russia that helps children and young adults with Autistic Spectrum Disorders (ASD) and other developmental challenges rehabilitate and adapt to become healthy members of the society. 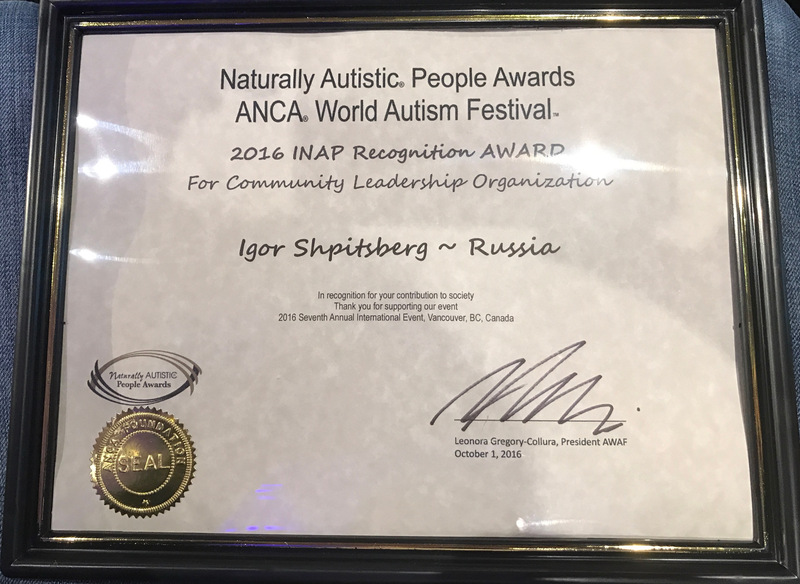 In 2016 Igor Shpitsberg, Director of Our Sunny World, was awarded the Naturally Autistic People Awards by the ANCA. We are sure that every person is absolutely valuable despite individual peculiarities and that the only criteria of 'norm' is the possibility for each individual child to adequately develop within the society. We strive to give professional help to each child with ASD and their families. Our mission is to aid such children in development, rehabilitation and social adaptation. We want to help as many children with autism and other developmental challenges, provide such help at no cost and pass on the knowledge that we've collected for over twenty years to as many professionals as possible. Our Sunny World was founded in 1991 by specialists and parents of children with autism and other developmental challenges. 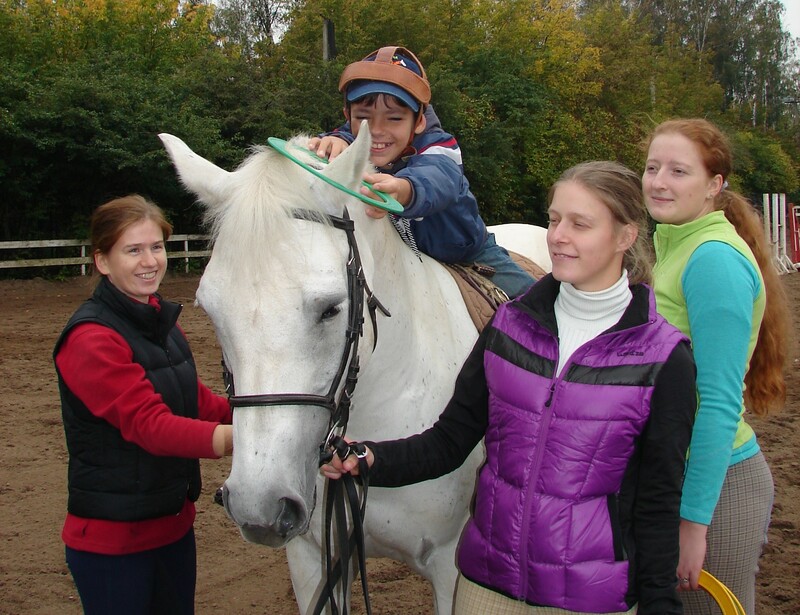 It was the first center in Russia that used hippotherapy in rehabilitation of children with limited abilities. Starting in 1992, the Center opened a program of rehabilitation and social adaptation for children with ASD and other developmental challenges. The Center's history holds over twenty years of 'selection' of most effective rehabilitation and behavior correction methods. In 1992, with the help of the Ministry of Social Protection of the Russian Federation, Our Sunny World became the first center in Russia to organize a summer rehabilitation camp for the children with autism (inclusive). To this day, the Center organizes an annual summer camp for children with ASD. Our Sunny World works according to the Program of Integrated Eco-system Rehabilitation and Social Adaptation of Children and Young Adults with Autism and Developmental Challenges that was first introduced in 1997 at the 9th International FRDI Congress in Denver, Colorado and was released as a brochure in 2002. In 2011, together with Yulia Erts Naftulieva, who is a certified behavioral analyst (MA, BCBA), the Center created the “Correctional Work with Childrend with Autism Based on Applied Behavioral Analysis Project (theory and practice)”. The project offers education in behavioral analysis with the possibility of receiving the highest degree – BCBA, which is approved by the International Committee (www.bacb.com). This program consists of 225 hours and teaches four modules. As of the beginning of 2014, 120 specialists graduated the Program with three graduates successfully passing the international exam and receiving BCBA. Approximately 40 specialists and over 400 parents completed the online version of the program. In 2013, Our Sunny World became the Primary Partner in action Light it Up Blue in Russia of the international organization Autism Speaks. In 2013, Our Sunny Word became the only Russian organization to become part of the European association Autism Europe, which unites the leading institutions from 30 European countries and protects the rights of people with autism in the European Union. In 2013, the UN Secretary-General – Ban Ki-moon – personally thanked the Igor Shpitsberg and rehabilitation center Our Sunny World for its effective help to children with ASD in Russia. In 2014 Director of Our Sunny World – Igor Shpitsberg was elected as a member of Council of Administration of International organization Autism Europe. Our Sunny World realizes its Integrated Rehabilitation Program that is based on methodologies developed by the Center's specialists, as well as most effective international methodologies. 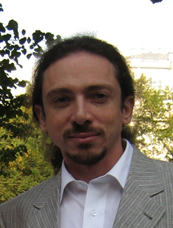 The Center's director – Igor Shpitsberg – developed the Method of Correcting Sensor-Based System Developmental Peculiarities in Children with ASD, which allows to substantially restore the deficit of normal perception and greatly improve the process of interaction of a child with autism with the society (patent number 2412727). The Method has been used for over fifteen years and helped many children improve their perception ability, giving them the possibility to participate in a 'healthy' society. The Method is part of the Integrated Rehabilitation Program of the Center. · intensive rehabilitation course at a country integration summer camp. Our Sunny World continually passes on the experience that its specialists gathered in over twenty years. The Center regularly holds round tables, seminars and trainings for rehabilitation specialists from Moscow and other regions, as well as parents of children with ASD. Our specialists hold scientific research and write methodology materials on developmental problems, rehabilitation and social adaptation. Since it was founded, the Center Our Sunny World continually cooperates with organizations and institutes that prepare specialists in the field of correctional education and rehabilitation (Moscow Psychology-Educational University, Russian State Social University, Correctional Education Institute, etc.) 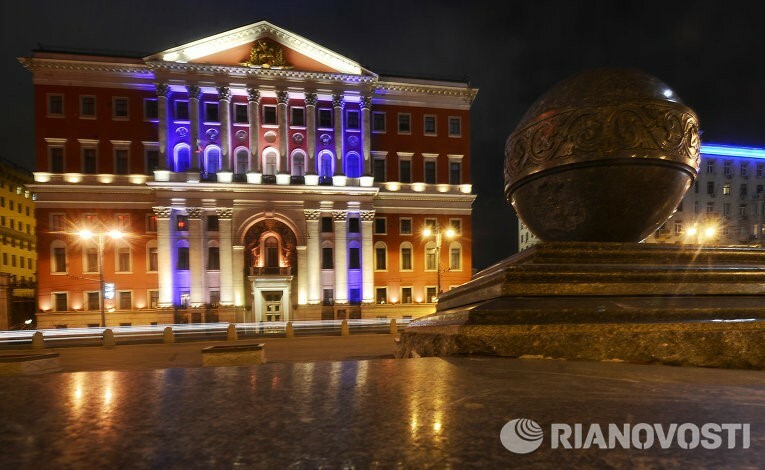 in Moscow and other Russian cities, as well as in other CIS countries and in the far abroad. Our Sunny World - a non-profit non-governmental organization. We have the financial support of funds, the state (some projects) and parents. Each week, our center is visited by over three hundred children aged one-and-a-half years and older and young adults with autism and other developmental challenges. Here, they are helped by seventy highly qualified specialists and volunteers to adapt to the society. In over twenty years, our specialists have helped change the quality of life of several thousand children and their families. With the help of our Center, many children with ASD are able to attend regular day care, schools (correctional, as well as regular), and have a socially active lifestyle. Many of our specialists are the parents of children with ASD and other developmental challenges. We also employ several adults with ASD who were earlier our students. As an expert of the Government Council of Guardianship under the Government of Russian Federation, director of Our Sunny World Igor Shpitsberg was able to deliver a letter from the founders of the Autism Speaks Bob and Suzanne Wright to the Deputy Prime Minister of Russia Dr. Olga Golodets asking to support the international campaign “Light it up blue”. First Russian Forum of parents of children with autism. (was attended by 250 parents from 35 cities of Russia) A resolution which included all the requirements for public structures of parents of children with autism was adopted at the forum. Today, Our Sunny World is one of the most effective rehabilitation centers in Russia and other countries, such as Ukraine, Latvia and Belarus. In fact, we are a 'resource education center' where specialists and parents of children with autism can learn how to effectively work with children with ASD. Our Center participates in many professional and social councils, including ones associated with the Ministry of Health, Education and Social Protection of the Russian Federation and actively participates in creating the necessary environment for people with autism and their families. We strive to aid our country in creating such necessary systems/institutions as early diagnostics, early help, inclusiveness, job placement, family help, and positive social environment for people with autism. Our Director, Igor Shpitsberg, is a member of many governmental and public councils and organizations on questions on autism and plays the leading role in our Center, as well as Russia, in helping solve questions of successful social adaptation of people with ASD. Our Sunny World is one of the leading ‘guardians’ of the best Russian and international experience in helping children with ASD and their families in Russia. The experience gathered in over thirty years by European and American organizations is extremely important to us, our specialists and Russian parents of children with ASD. Russia is just starting to build institutions to help children and adults with autism and our Center takes the leading role in this process. We are in great need of support of parents and specialists from other countries and we have utmost respect to their experience. · Member of Council of Administration of International organization Autism Europe. 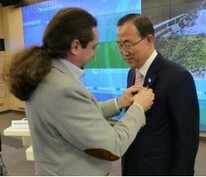 In May of 2013, Secretary-general of the United Nations – Ban Ki-moon – personally thanked Igor Shpitsberg for his devotion to the help to people that suffer from autistic spectrum disorders.